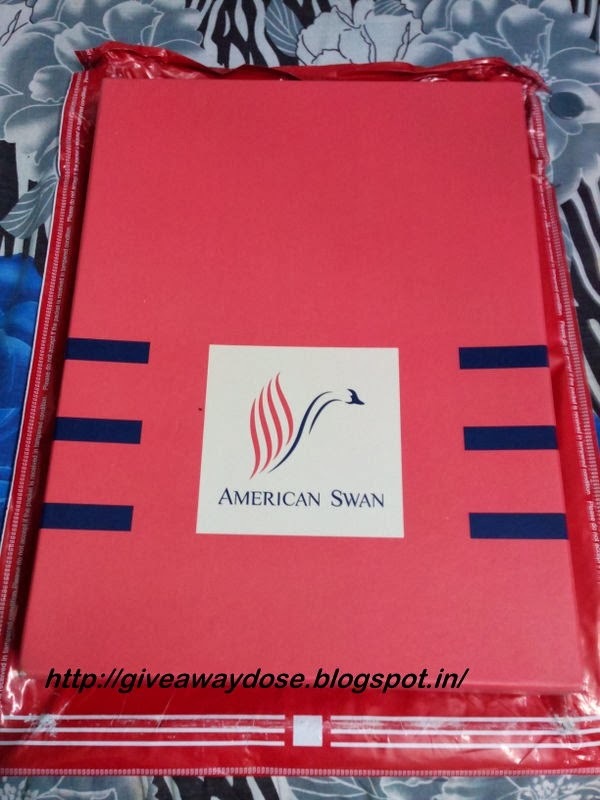 Giveaway dose: Shopping Experience - AmericanSwan.com !! Cant believe January passed away so quickly. Yes the last month was a very busy one for me. 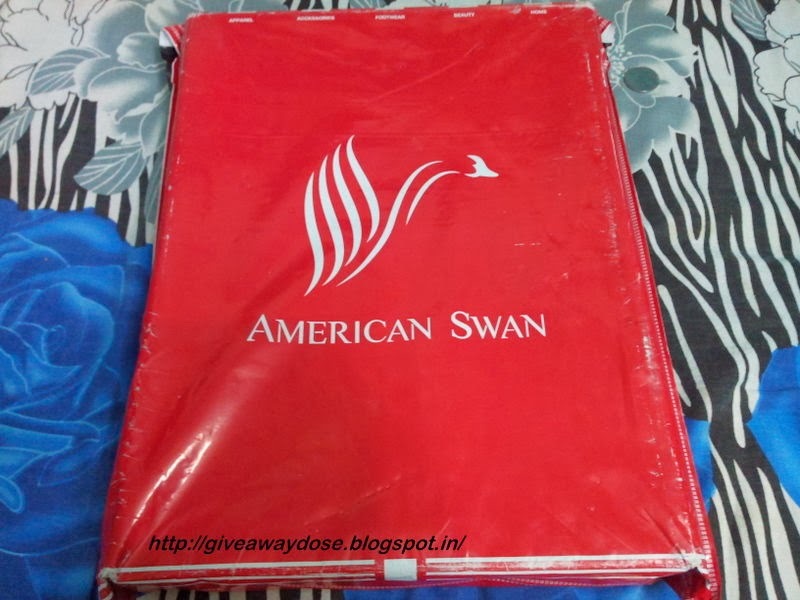 Long time back i subscribed to Americanswan newsletter , but never shopped with them, so when few days back i got a mail from them saying FLAT 50% off , so i thought of giving it a try as I was looking for a pullover for Hubby, and we all know its sale time on all the e-shopping websites , so i was searching for a nice offer also. Let me tell you guys i was really happy that i subscribed to them, coz its really they are offering FLAT 50% off, unlike other websites, who actualy claim to give but they don. 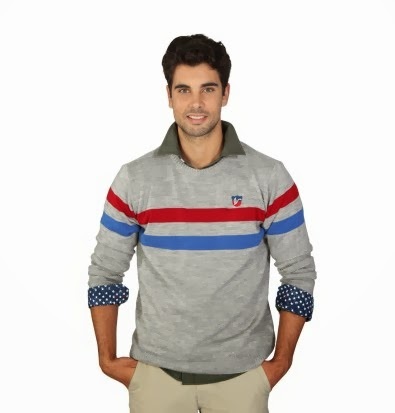 I ordered a Grey Striped Pullover - Actual MRP Rs 1999 and offer price is Rs 1000. I received my order in a week from them via Bluedart courier. 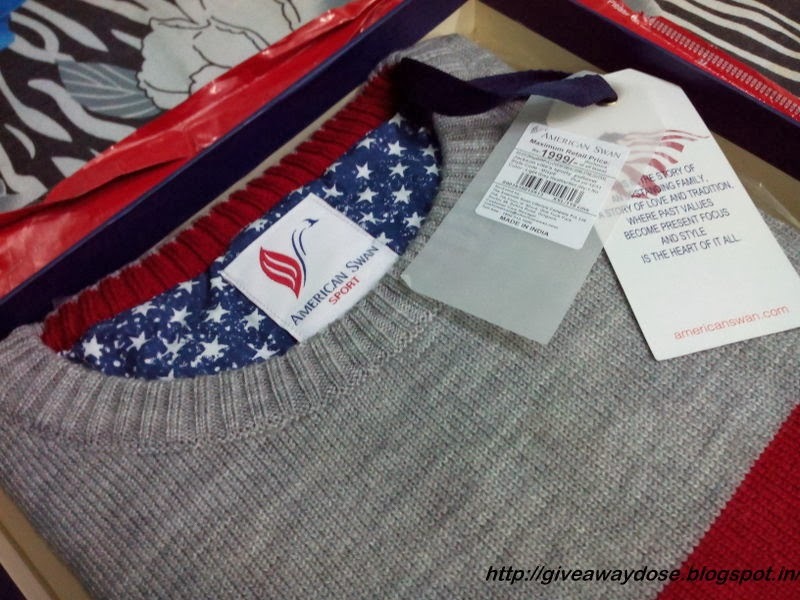 It was very packed very nicely and Hubby loved this pullover very much ... YAY !! The Quality is very comfy and soft, and the look and design is just awesome. 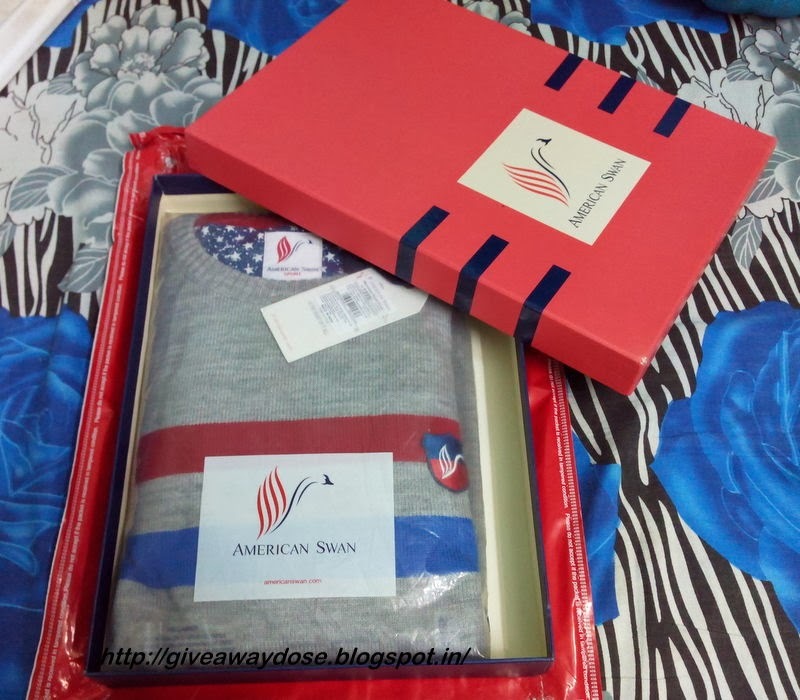 even i loved it a load :D Hope to shop something for myself next time from Americanswan.com . It looks great!! Is it warm too ?? its not too warm, good for light winter.